If you love make-up and cosmetics, here's everything you should know about Nykaa's offline stores. If you haven't been living under a rock for the past few years, then you would know, that Nykaa has been doing a great job—both online and offline. Apart from bringing some much-sought-after international cosmetics brands to India, they also have a killer line of their own products. And just like their website, their stores have the best of both worlds too. There are two kinds of Nykaa stores in the city—Nykaa Luxe and Nykaa On Trend. And, unless you're someone who likes to shop for make-up by solely browsing and picking up what works best for you, you'd like to go in knowing what to expect in these stores. 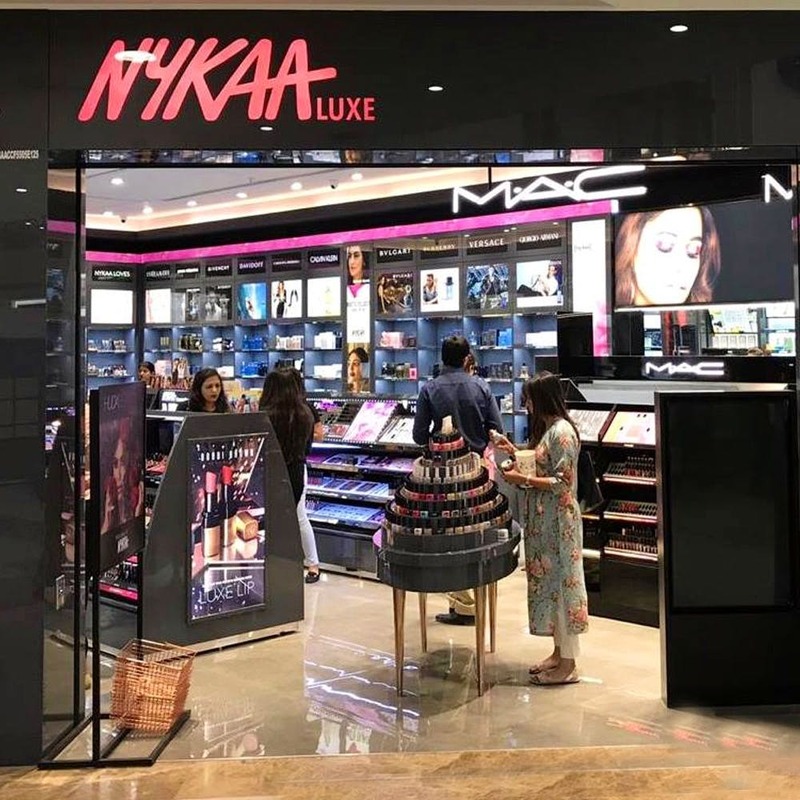 Nykaa Luxe is the retail store for more high-end brands, such as Clinique, Dior, Givenchy, Bobbi Brown, Esteé Lauder, and more. Whereas, the Nykaa On Trend outlets feature brands that are more basic and affordable, such as Maybelline, Lakmé, Kama Ayurveda, L.A. Girl, and more. We would love it if they keep opening more stores in more areas in the city, since the existing ones are mostly in South Delhi. Currently, Nykaa has 7 outlets in Delhi NCR. If you're planning to drop by one of these, we'd recommend you check which store it is if you have something specific in mind you want to buy.